The segment leading BMW X3 is reborn in an all-new xDrive30i and M40i for 2018. It continues to deliver the driving dynamics you've come to expect from BMW. Enhanced aerodynamics including the distinctive BMW Active Kidney Grille and BMW Air Curtains, minimize fuel consumption and noise levels, while delivering an exceptional driving experience. Opt for the performance-inspired M40i, that blends power with smoothness and efficiency -- and shoots to 60 mph in a class leading 4.6 seconds. Impeccable performance, intuitive controls and ideal versatility come together to form a Sports Activity Vehicle® that's ready to take on any road you drive it on. The BMW X3 is completely redesigned for 2018 and now features an M Performance model, the X3 M40i. New standard features include Active Protection pre-crash accident detection system, sport seats and three-zone automatic climate control. The available head-up display is 75 percent larger and the standard 10.25-inch touchscreen is available with Gesture Control technology. Enhancements to the aerodynamic design include BMW Active Kidney Grille, underbody cladding, roof spoiler with aero blades and air curtains. Striking the perfect balance of agility, utility and power, the X3 offers your choice of two different powertrains. The latest TwinPower Turbo 2.0-liter 4-cylinder engine provides a power boost of 248 horsepower and 258 lb-ft of torque delivering exceptional acceleration to the xDrive30i. 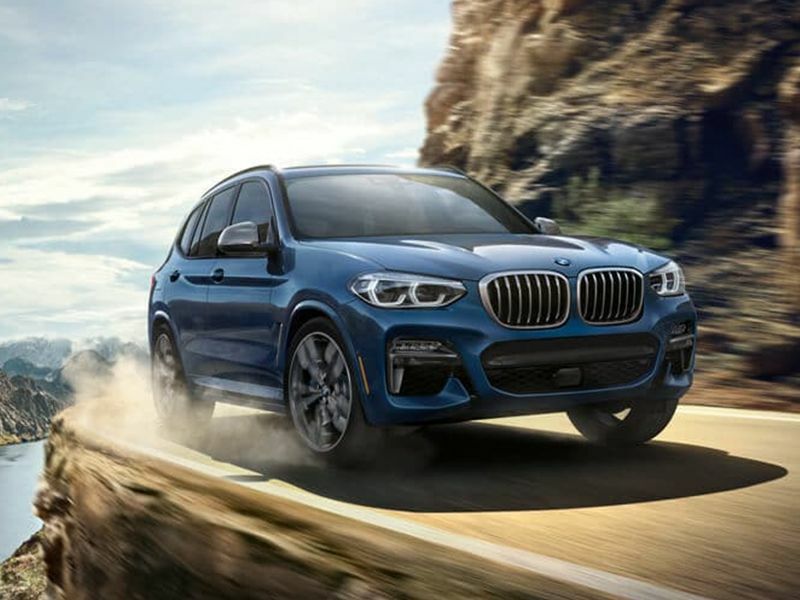 A fine-tuned 3.0-liter M performance TwinPower Turbo 6-cylinder engine performs by pulling power with smoothness and efficiency -- and propels the M40i with a best-in-segment 0-60 mph time of 4.6 seconds. Both variants come with an 8-speed Steptronic Sport Automatic with shift paddles, tuned specifically to match the engine's personality. XDrive all-wheel-drive, as standard, 8 inches of ground clearance, and Dynamic Stability Control maximizes the driving dynamics and efficiency of the 2018 BMW X3. The X3 is ready to accommodate whatever your adventure requires. 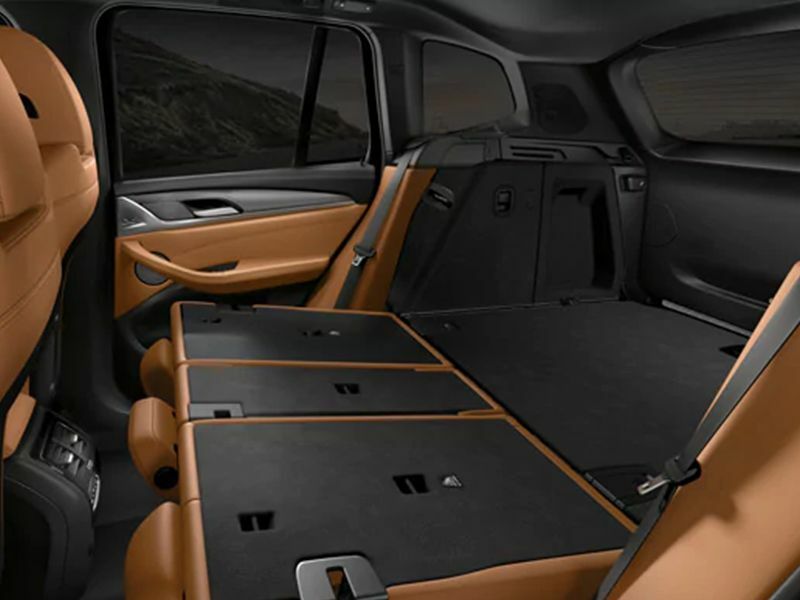 Cargo storage capacity expands to an impressive 62.7 cubic feet of cargo space with the help of the split fold-down seats. The optional factory-installed trailer hitch, first ever available in a BMW SAV®, can take your getaways to an entirely new level. Thanks to the redesign, the X3 is longer and wider, boosting head and legroom for all passengers, ensuring a comfortable ride regardless of how far you're traveling. Along with luggage nets, cargo rails, and hooks, this Sports Activity Vehicle® can accompany everything and everyone you're taking with you. 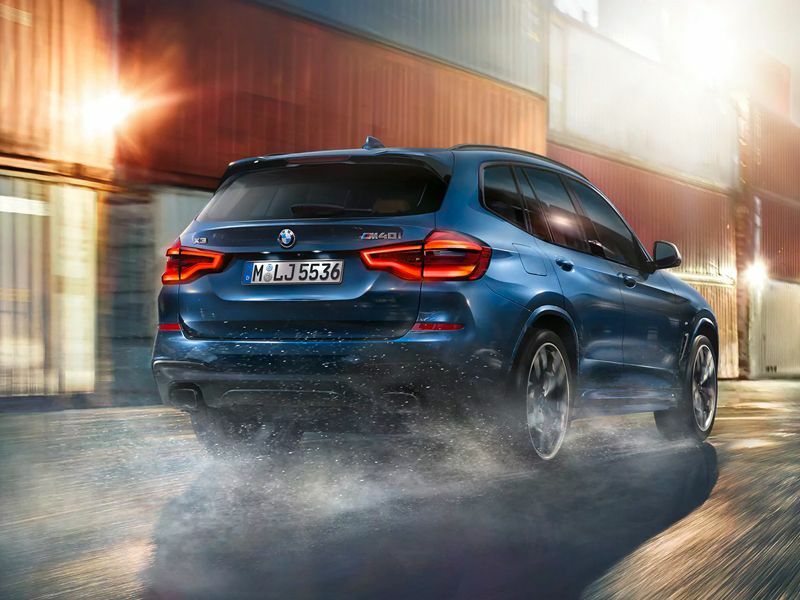 The X3 is equipped with innovative technology you never knew you needed. From changing the volume to answering phone calls, available Gesture Control, allows you to operate controls totally touch free. 3D Surround View lets you view your vehicle remotely on the BMW Connected app, allowing you to rest easy knowing your vehicle is right where you left it. Found on every X3, iDrive 6.0 is an intuitive interface that displays navigation, music and other essential information for everyday driving. Driver's can opt for more enticing features such as Wireless Charging console and onboard WiFi Hotspot to ensure their always connected to the outside world. The optional Driving Assistance Plus Package gives drivers the extra boost of confidence they need to get through life's unpredictable moments. Features include Active Cruise Control with Stop & Go, Blind Spot Detection, Front Collision Warning with City Collision and Active Lane Keeping Assistant. Active Protection system, coming standard, monitors potential accidents and alerts the driver when to take action -- adding an extra layer of protection when cruising to the destination. The BMW X3 is comprised of two trims, each with its own distinct powertrain. 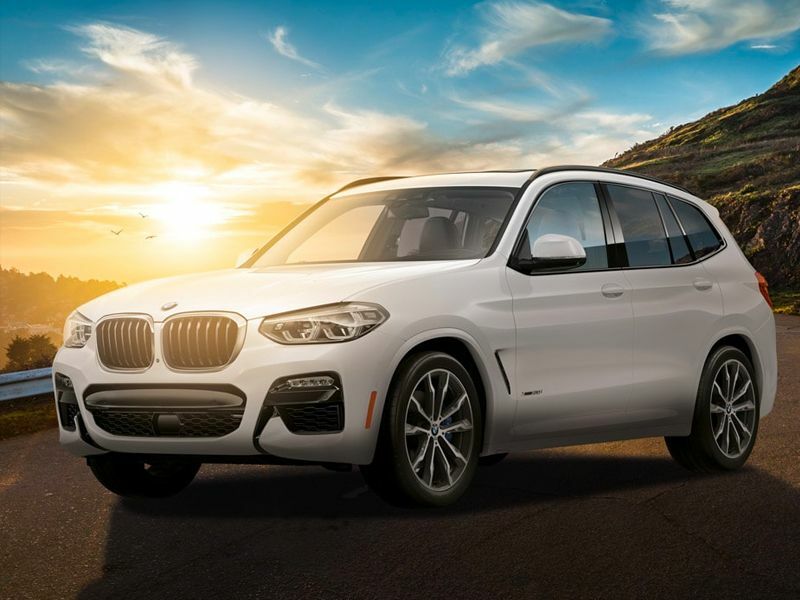 XDrive30i is powered by a smooth running, 2.0-liter TwinPower Turbo 4-cylinder engine producing 248 horsepower while the M40i is powered by a potent 3.0-liter M Performance TwinPower Turbo 6-cylinder engine that blurs to 60 mph in just 4.6 seconds. Premium features you can enjoy on both variants include Power Tailgate, iDrive 6.0 system, Rear-view Camera, ConnectedDrive Services, Ambient Lighting and Advanced Vehicle & Key Memory functions. You have the choice between three body styles; the rugged xLINE with bumper add-ons, rocker panels and 18-inch Y-Spoke wheels; the dashing Luxury with a SensaTec Dashboard and high-gloss chrome accents highlighting its sophisticated body; and the performance-inspired M Sport with M Double-spoke wheels and precision-engineered aerodynamics. Multiple tiers can be added to your model, maximizing luxury and taking technology to the next level. 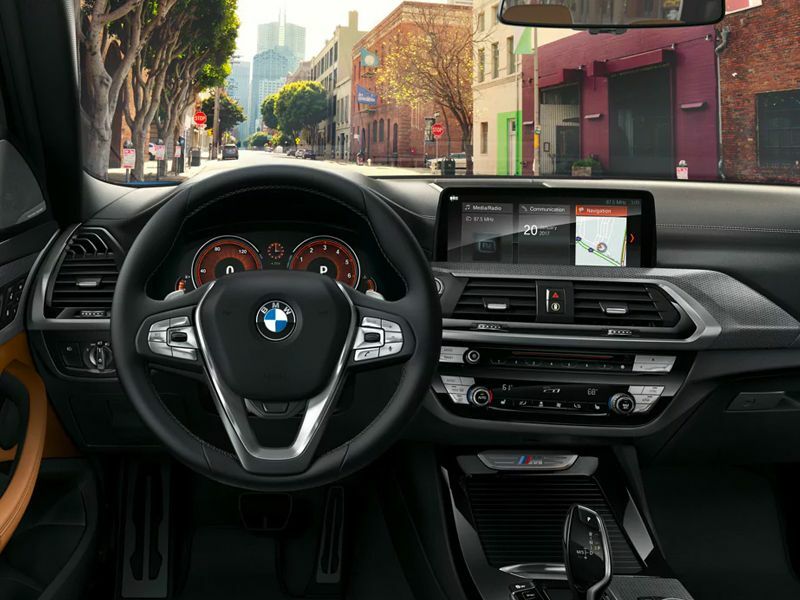 Premium Tier, available on both trims, includes Head-up Display, the latest BMW Navigation system featuring auto-updating maps and Advanced Real-Time Traffic Information. Driving Assistance Plus Package features Blind Spot Detection, Frontal Collision Warning with City Collision Mitigation and Active Lane Keeping Assistant -- giving you confidence on any road you travel. *MSRP includes destination & handling fee of $995, but excludes tax, title, license, and registration.